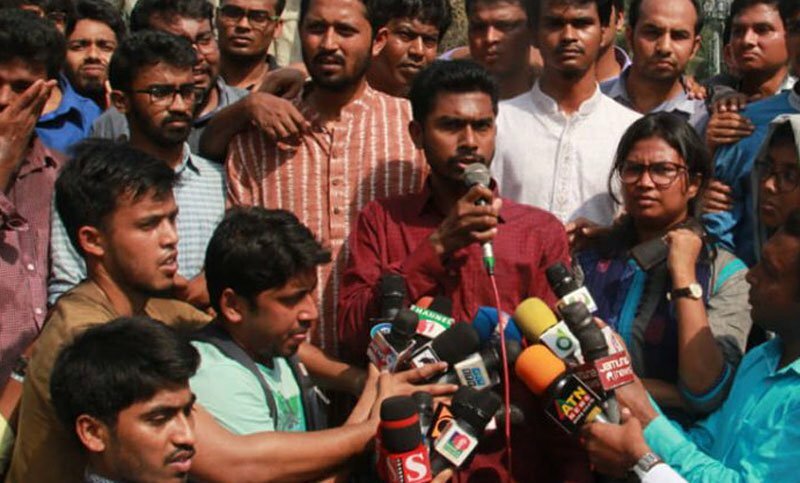 This Popular quota reformist leader came up with this declaration at a press briefing after being attacked at the campus, yet once again, by alleged Bangladesh Chhatra League men. ‘Yesterday’s DUCSU election was a farce. Biased Dhaka University (DU) administration did irregularities as much as possible for victory of the Bangladesh Chhatra League (BCL) candidates. Though, they failed to defeat me and Akhater (newly elected Social Services Secretary).’ He said. He was speaking as a representative of the greater coalition formed by leftists, independents and quota reform activists– who all boycotted DUCSU elections yesterday.